– 50,000 WordPress Links!!! – These footer links are spread across thousands of unique IP addresses. – 50,000 DIRECTIONAL-LINKS-DOMAIN.com Links!!! – Instantly add your text links to over one million content rich article web pages in over 60 different categories. – 50,000 Site-wide Links!!! – We have a partnership with a company with tens of thousands of pages indexed many of which have page rank ranging from 0 to 4. They’re offering our customers a chance to place a footer link site-wide on every one of their pages. – 1500 Permanent Links for $1000!!! – 3000 Permanent Links for $2000!!! – 7500 Permanent Links for $5000!!! P.S. Have you checked out our full array of products at www.Company-Domain-Name.com? WOW! What an amazing quantity of links. You might even be tempted to fork over the $1,650 per month for the chance at hitting the Link Lotto. That is if you are not up on the history of Google’s war on paid links, how to measure the value of a link, or how the rate of link acquisition and quality can affect your domain’s link profile. Paul Jahn of Localmn Interactive Marketing was kind enough to provide some very practical advice. When people show me Paid Links/Twitter emails like this, I think “What is the polar opposite of this offer?” and then recommend doing that. Also, I have never and will never see Twitter as being tedious, boring, monotonous or grunt work. It’s an opportunity for me to engage with like-minded people. I’ve been on Twitter since earlier 2007, still have a pretty low number of connections and couldn’t be happier. I’ve gotten to know many of these people, including yourself, and have built many trusted relationships because of it. For me, this is much more beneficial than trying to get 10,000 followers to boost an ego. What is wrong with this offer? If you are new to link building or SEO you very well might be wondering about this so I thought I would provide some insight into the Pros and Cons of this offer. Easily Identified by Search Engines – Links that are gained in large quantities over a very short amount of time are easier to identify. They tend to have a distinct pattern such as all text or image links, sitewide likes that appear on every page, footer links that appear at the bottom of many pages of a site usually below the fold and typically point to the same page of a website. Quality – There were a few trusted sites in the past that tried selling links in mass, but today it is so well documented that most sites of quality stay clear of selling links. This usually leaves only low quality sites of little value that would damage your link profile. These sites will also probably have little to no inbound links except from other low quality websites. Variation – A link offer like this will probably generate you the same or similar anchor or alt text for most if not all of your links. A clever link seller or buyer may use of an “insert data variable here” programming option to make the links appear unique, but this is easy to identify as well. Rate of Acquisition – The rate of which your website acquires new links can play a large part in tripping red flags. A long and continued rate of acquisition is natural. Sudden increases in link counts of lesser quality hint at manipulation. Bad Neighborhoods – Links obtained in this manner will usually be from sites that are also selling links in mass to other websites. These other linked-to websites will most assuredly be made up of sites that have received penalties already and thus make it easier for the search engines to back track their links to find other offenders. Potential Penalties and Banishment – There is a chance that participating in a paid linking scheme of this type may only result in slight penalties for the select keywords that you are targeting. However, with Google’s continuous advancements in link profiling to help fight the paid link war, do you really want to risk having your domain banned and all of your other hard work being completely wasted? As I mentioned earlier, Google first started to really crack down on paid links in 2005 shortly after they created the NoFollow Tag. This tag allowed content publishers to link to other sources without passing along link juice and at the same time giving Google the solid argument “I provided you this tag and you didn’t use it so now I’m penalizing you!”. It was reported soon after that several high profile content publishers, along with the Stanford University’s Student Paper, were selling links to advertisers. For several months these “examples” were being talked and blogged about in every corner of the SEO world. In April of 2007 Danny Sullivan wrote a post on The Fight Against Paid Links. It goes into much detail about the the early years of the war and into 2005. 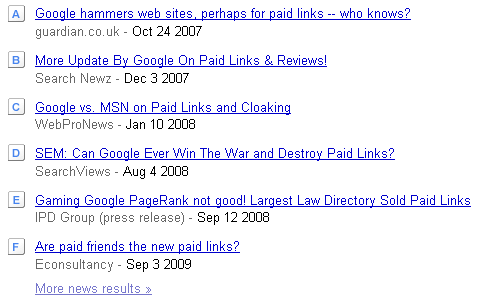 In May of 2007, Google sent out a call-to-arms enlisting loyal followers to help report paid links. This gave Google a very powerful weapon to help fight the war: Website owners wanting to level the playing field against the competition with deeper pockets. In 2007 we also saw several notable companies offering “pay-for-blog-posts” and “pay-for-text-links” openly change their policies to reflect how Google wants paid links to be handled. Their open adoption of the NoFollow tag on link advertisements was seen by some as a solid practice for not incurring search engine wrath and by others as a lost opportunity. But everything may not be as it seems. Search Engine Roundtable has made available the live blog coverage from a session at last months PubCon titled “Linkfluence: How to Buy Links With Maximum Juice and Minimum Risk“. The context of the available live blog format provides tips and tactics that are currently being used, some of which are applicable to non-paid link building practices. 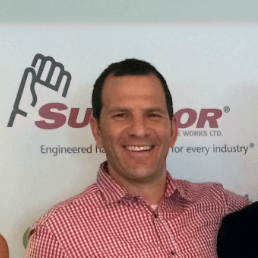 Tony Tellijohn of Aktion Marketing also provides additional insight on this with his PubCon experience. In talking to a couple of link broker companies at PubCon, it doesn’t sound like paid linking has decreased as a strategy—companies are just trying to be more discreet about where they are buying links, where they are pointing them to, and what keywords they are using. In some industries, it still seems to be the only way to compete. At the end of 2007 Vanessa Fox wrote a great post titled “The 2007 Paid Links War, In Review” that details what will surely be remembered as the most intense year of the war. 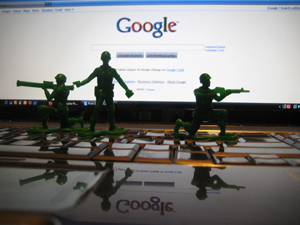 In August of 2008, Mark Pilatowski wrote a post titled “SEM: Can Google Ever Win The War and Destroy Paid Links?“. Considering that Tony Tellijohn’s comments came over a year later, Mark may be the author of the most timeless paid link post ever written. News headlines on Paid Links from 2007 until now pulled from Google Trends and Google Insights for Search provide a dreary outlook on the practice. This might be close in relation to telemarketing before the US Government instituted the National Do-Not-Call Registry and Bulk Emailing before the CAN-SPAM Act. The calls and emails still come from time to time, but not as overtly or with the frequency as in the past. During 2009 we have seen many significant changes in the web linkscape and this may be the year the we reflect back on and identify as the beginning of the end in the large battle against paid links. One such change was Google’s “Vince” algorithm update early in the year that strongly suggests that links from higher quality sites are not only a good way to go, but quite possibly the only way left to go. This year we even saw SEOmoz, one of the largest and most respected SEO communities and blogs, post their own “Stance on Paid Links & Link Ads“. These two events may not seem to amount to much on the surface, but they do. Google’s Vince has created a new web culture that sets the goal of developing a clean and trusted link profile as a high achievement for websites to try and attain. The SEOmoz stance, due to their work in the fields of SEO and Link Analysis and the vast audience that they have, will probably lead to more of a social change when it comes to link building tactics. My Perspective – In 2008 and earlier I would evaluate potential links for purchase only if I felt that they would pass value in the form of link juice. Today things are different. My focus is now on obtaining site and business listings from quality websites that will provide a link in any form, be it followed, nofollowed or utilize scripted tracking that may devalue its “juice”. The emphasis is placed on the fact that they be from an identical vertical industry or closely related niche, and if they can provide a clean link, then that just moves them towards the top of the priority list. Paul Jahn of Localmn Interactive Marketing – “When it comes to paid links, I tend to think outside the SEO world. The vast majority of regular site owners who pay for links most likely buy them for potential traffic without any thought of SEO benefits. I’ve never seen a site penalized for this type of link purchase. SEOmoz: 525,600 Metrics – How Do You Measure; Measure a Link? – In particular I would like to point out these two sections as they seem to apply to this post. – A large historical roundup from October 2007. Have an opinion on Paid Link Building that you would like to share? Feel free to add your comments below as we look forward to hearing from you.